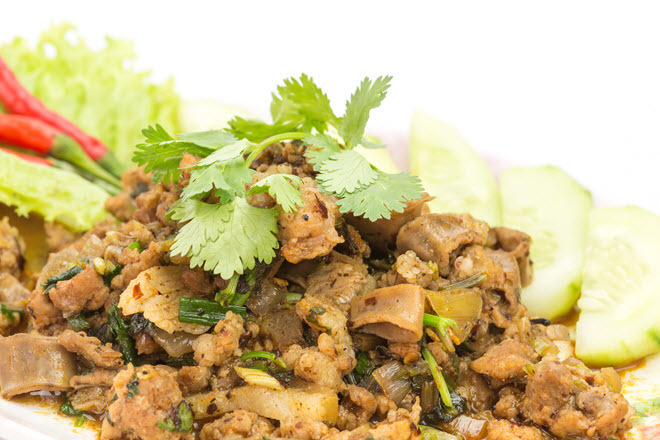 Thai food is one of the most aromatic of all the Asian cuisines. If you have a passion for Thai food the very mention of it brings to mind the flavors of curry, Thai peppers, coconut milk, jasmine rice and lemon grass. Thai cooking schools in the U.S. Most of the schools you will discover are small and private, either here or located in Thailand. Two schools of thought: you could take advantage of the significant number of small Thai cooking schools and classes offered in many areas of the country. These offer the most convenience. Or take a trip abroad for a vacation cooking experience of a lifetime. Luckily so many authentic Thai restaurants and chefs live in the U.S. Asian produce is readily available in larger metropolitan areas, which is key to real Thai cookery. The drawback is the rarity of some ingredients in many areas of this country. Of course Thai recipes can be tweaked to meet the availability of native and regional ingredients, but then this fails to be authentic Thai—more a Thai fusion. When you need to impress your colleagues or develop a menu with Thai flare consider the value of an abroad trip to a Thai village or a world-class hotel cooking program. Truth is: Thai food can never taste quite exactly the same cooked in the U.S. versus cooked in a restaurant in Bangkok or a small village. Everything is so unique. You really understand the value of location and its effect on everything even the taste of the food, variety of food and types of meats and game native to an area. Many professional chefs enjoy traveling. Why? It offers them the opportunity to experience a cuisine they perhaps don’t have enough experience with, brainstorm intriguing new menu ideas, discover new flavor nuances and native ingredients and network with other chefs. If you’re up for an opulent culinary vacation check out the authentic Thai cooking school at the Mandarin Oriental Bangkok hotel. You spend half the day immersed in Thai kitchen cooking techniques, and food preparation. The second half of the day you have the opportunity to explore the city and surrounding countryside, sample local fare and regional dishes you’ve never tasted before. If you’re a budding chef prepare to be inspired. Chaing Mai Thai Cookery School offers authentic Thai cooking classes in northern Thailand. Courses are taught in English and feature essentials like fruit and vegetable carving, a unique Thai chef skill, and choosing and buying from a Thai market. If you’re a student chef or pro chef, check out the Master classes. Here you get a much more indepth cooking experience. The school also has accommodations. Stay in the States and study Thai cooking with Thai chef and cookbook author Kasma Loha-unchit in her small Oakland, California kitchen. She offers short evening classes or a full week of immersion-style classes. Kasma emphasizes what she calls the 5 essential flavors of Thai cuisine. Skills you master include paste, curry and sauces, classic Thai cooking methods, how and where to buy authentic ingredients, and how to control food’s spiciness.